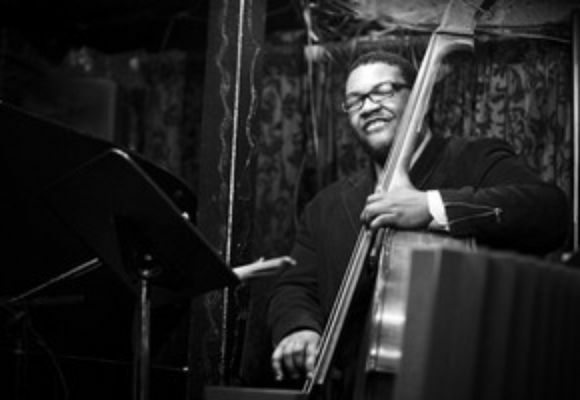 The New Jazz Workshop or NJW was formed in September of 2000 by Dezron Douglas, and Lummie Spann. At the time they were both students of the Jackie McLean Institute of Jazz at the University of Hartford. At the university was where the first incarnation of the band was formed. Along with Htfd natives Damion Curtis, Ray McMorrin, DC native Marcus Jackson, and NY native James Burton the band began its journey into the hearts of all local and tri state musicians. They have had the pleasure of opening for Slide Hampton at Paul Browns Monday Night Jazz Series in hartford in the summer of 05. As well many of the members, old and new, have been performing, and making a name for themselves, with quite an impressive list of Jazz Luminaries including Michael Carvin, Pharoah Sanders, The Dizzy All Star Band, Winard Harper, Carl Allen, Ravi Coltrane, Horace Silver, Hank Jones, Steve Davis, and the LCJO. Soon NJW will be in the studio working on their debut record (long overdue) in hopes to let the world know what the deal really is. Be on the lookout for the return of unadulterated, cold blooded, hard pressed SWING. For those who want to know, the calendar represents the whereabouts of bassist Dezron Douglas, as well as NJW info.